Co-locating wind energy and storage technologies could offer many benefits: It could reduce the amount of curtailed electricity at times of grid congestion or system instability. It could help maintaining generation schedules communicated to system operators, thereby reducing imbalance charges and avoiding penalties for not fulfilling the performance committed to the system. It could enable wind power to provide a wider range of ancillary services, such as frequency containment reserve (FCR), improve reactive power provision and even black start capability. In small power systems with stability issues, storage can support wind farms to reduce ramp rates, smoothing out electricity generation. WindEurope’s paper discusses the possible functionalities of co-located wind energy and storage projects using examples from key ongoing projects. It uses information from WindEurope’s online database of co-located projects developed specifically to improve the industry knowledge. Approximately 400 MW of co-located projects have been identified globally, with three quarters of them already operational. WindEurope presents a number of policy recommendations to improve the market design for all storage projects and specifically for co-located ones. 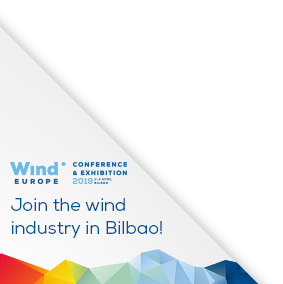 As industry gains more experience developing such projects, WindEurope will disseminate lessons learned on regulatory frameworks and incentive schemes.